Have you ever wondered what happens in your garden at night… who is digging the holes in the lawn, knocking over the bins or emptying the bird feeder? As the light fades at the end of the day and you draw the curtains and settle down for the evening, it is the time when many animals stir and start exploring for a night of foraging and hunting. Despite many of these animals being only metres from our patio windows, we are not really aware of their presence and, unless they have left some evidence of their visit, we would be oblivious to our nocturnal visitors. Have you ever seen a track under a hedge, a strange hair caught on barbed wire where a creature has struggled underneath or an unidentified hole or burrow? As a keen naturalist, I spend as much time outside as I can and tracks and signs like this always fascinate me as they give an insight into the world of wildlife that surrounds us, but is not always seen. 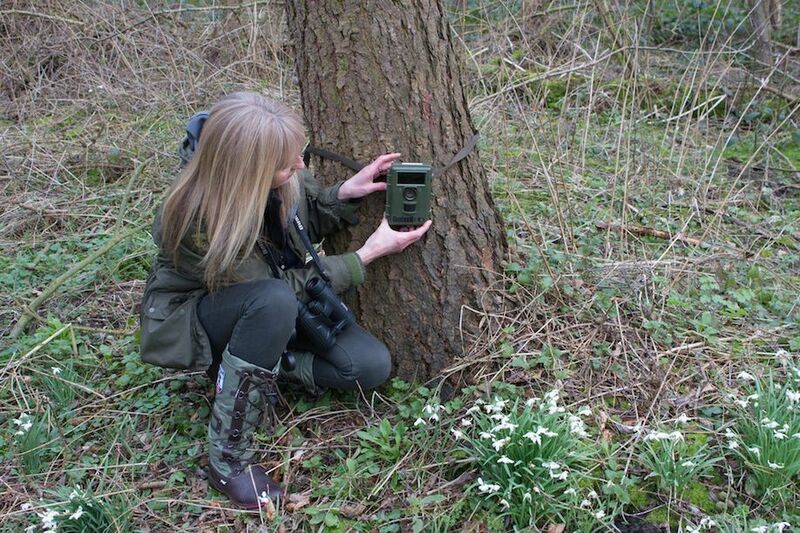 One way to find out more about this ‘hidden’ wildlife, can be with a remote camera such as a Bushnell Trail Cam. Originally developed in the USA to scout for game ‘trail cameras’, as they are sometimes known, are becoming an essential piece of kit in any naturalist’s rucksack. These small units, which run on AA batteries, have a sensor, which detects body warmth and movement, triggering the unit to take a photo or a video clip. In daylight many trail cameras will even capture video clips in full HD. At night, the unit bathes the area in infra-red light, allowing captures even when it is pitch dark. The footage is saved onto an SD card and can simply be removed and placed in the PC where your videos or stills can be uploaded. 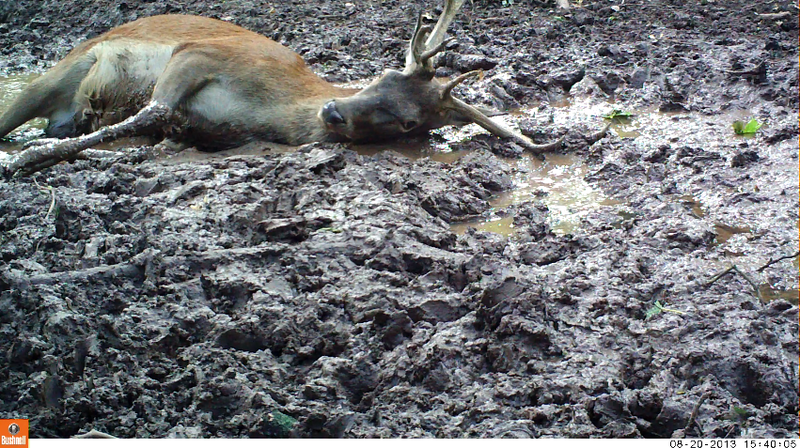 Used by the BBC, many wildlife organisations and individuals all over the world, trail cameras enable researchers to monitor remote areas, as they can be left for months at a time, silently and unobtrusively capturing images of everything that passes. My first Bushnell was a birthday present and the insight it has given me into my the creatures in my ‘patch’ has been phenomenal. I had never seen hedgehogs in my garden, yet the Bushnell captured several individuals hunting for food amongst my Hostas. I discovered that foxes regularly crossed my garden and I even captured footage of a badger in the field next door. Soon I was setting this camera up everywhere and one Bushnell was not enough…. I now have six! Deployed everywhere from badger setts, to foxes earths, on tracks and trails and I even take them on holiday! A trip to Shetland meant I captured some very special footage of otters and I will never forget the moment I uploaded that exciting footage! In a remote spot on the coast I sat with my laptop on the stunning headland and quite literally performed a dance of joy upon uploading the footage! I am forever looking for evidence that a creature may be present; a simple trail under a hedge indicating a common path, droppings or a freshly dug burrow get me out with the Bushnell, excitedly setting it up and then trying to wait for a few days before I retrieve the SD card. 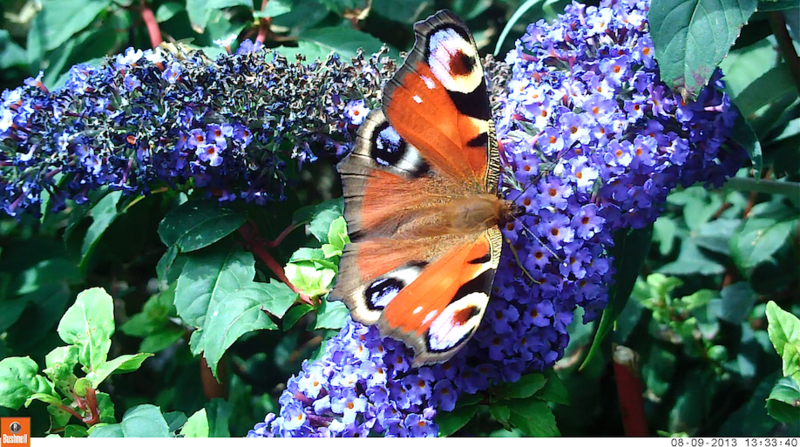 I then upload footage onto my website and onto my YouTube Channel so I can share my captures. 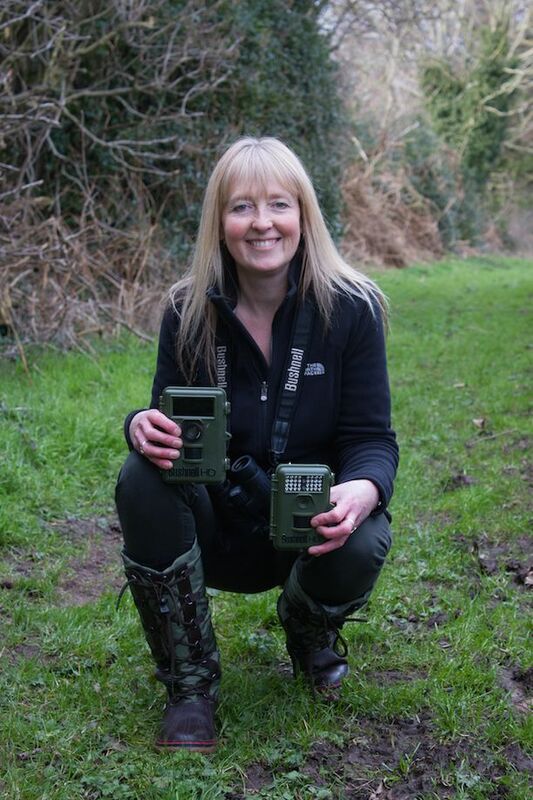 My extensive work using this kit has led me to be the Bushnell UK Ambassador, showcasing what is capable using these trail cams and playing a part in the ongoing development of this fantastic, accessible bit of technology! 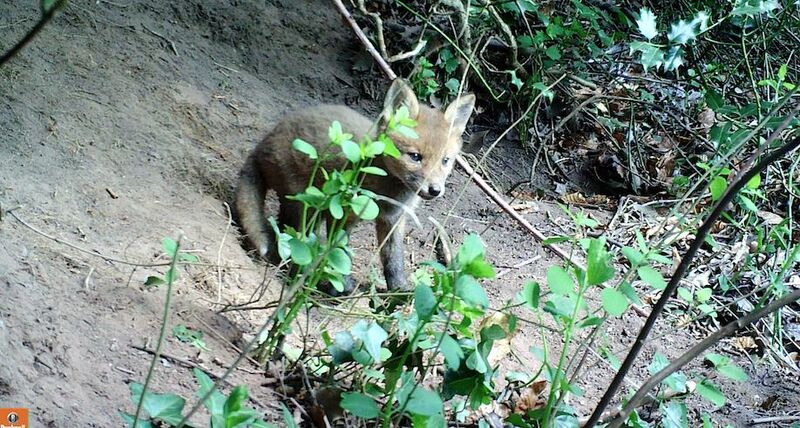 Some of my favourite recent videos show four beautiful fox cubs close to my home. These cubs are only about 6 weeks old and, with the Bushnell tied to a nearby tree, I captured lovely footage that would have been virtually impossible any other way as the site is difficult to access and in thick hedgerow. These cubs were completely unaware of the unit filming them, meaning I captured a very special insight into their early forays into the world. 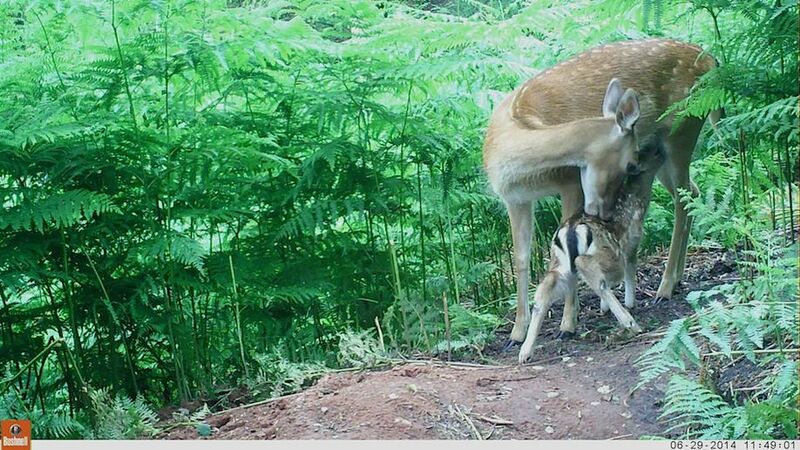 Another example of how trail cams can capture special moments is with some work I did with Fallow Deer in Cannock Chase, near my home. Working on a privately owned Holiday Park, I set my Bushnell in amongst dense bracken on a small clearing. Spring in this park means new Fallow fawns, but hinds (female deer) leave their newly born fawns hidden in the bracken and they are rarely seen until they are older. 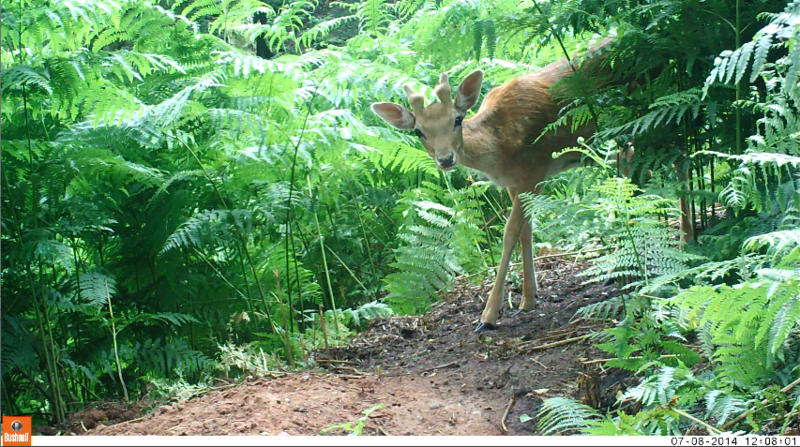 My Bushnell captured HD video footage of tiny fawns greeting, being groomed and even suckling in this bracken ’arena’. These intimate moments between mother and fawn would have been extremely difficult to capture any other way and I have been totally captivated by the footage. It was not only females and young I captured here, but also young bucks, their newly emerging antlers still in ‘velvet’ and even a young fox passing through…. 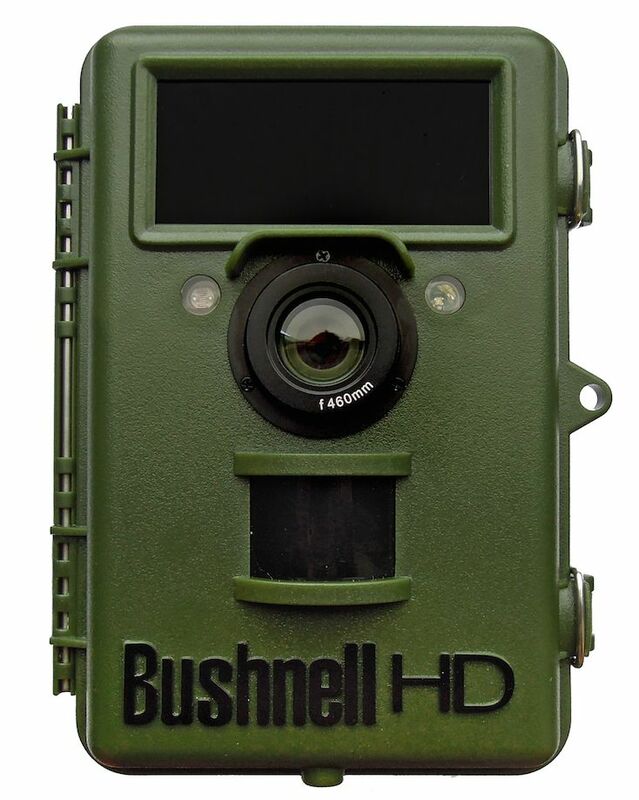 Recognising the immense interest in the UK and European market, Bushnell developed a new ‘NatureView’ range of trail cameras for 2013 and these have helped to take remote wildlife watching to a whole new level. Two of the models come with close-up lenses, allowing you to focus just 46cm and 25cm from your subject! This makes it fantastic for monitoring bird feeders or mammal burrows as your smaller subject will now fill the frame. These close-up lenses also allow you to set the trail cam up on a nest (as I did with a wren nest in my garage) or even capture footage of insects! 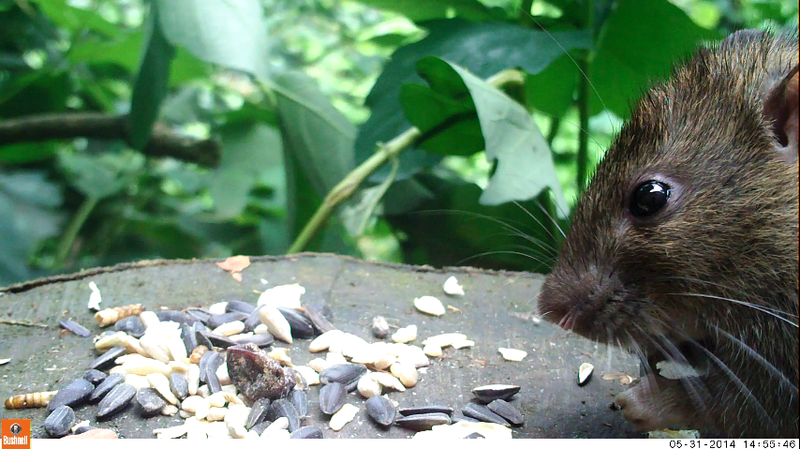 Setting up a feeding station can be an excellent way to capture footage of local creatures. 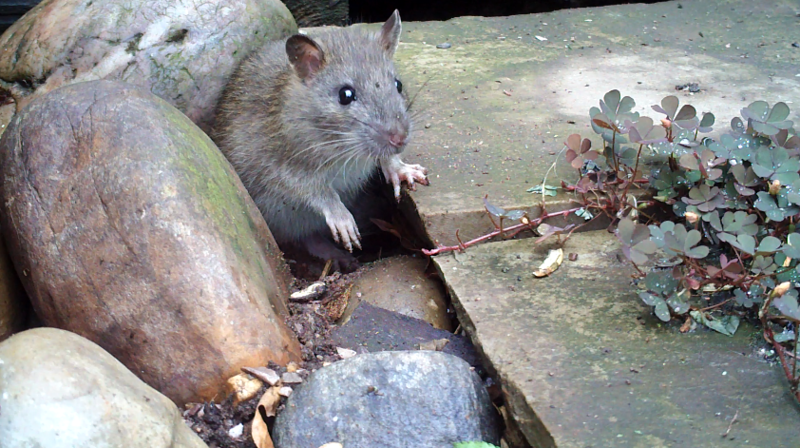 With the close-up lenses, I have set the NatureView up by a burrow under my patio and was rewarded with some fantastic footage of young rats feeding. I have now started using the NatureViews with schools as well! 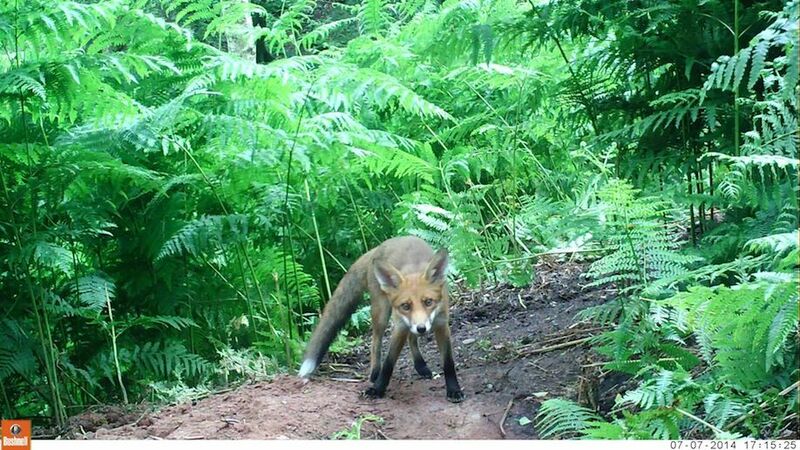 Children love using this technology and it is really something special when you capture footage of a fox, badger or even a roe deer in your school grounds. 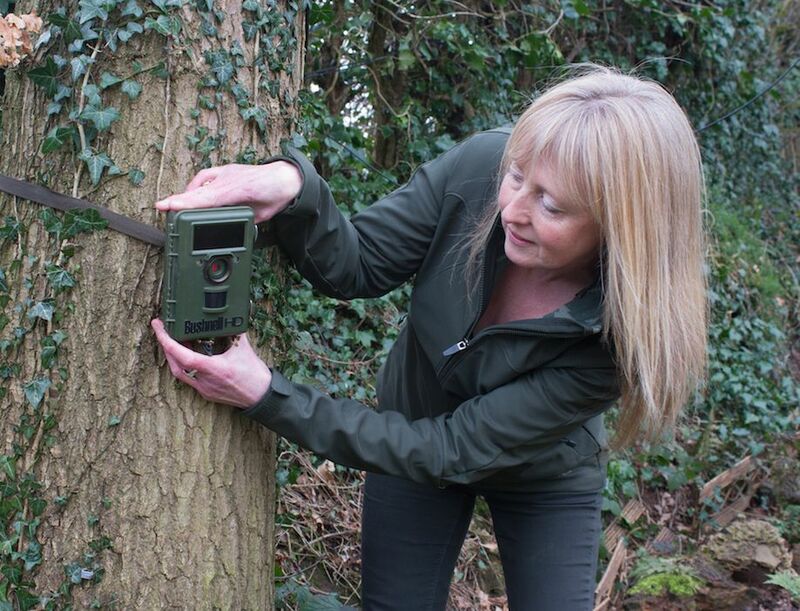 Showing teachers how they can build the use of trail cams into the curriculum is something I will be working on in the coming year; an excellent way to engage kids with the wildlife right on their doorstep and foster an early appreciation of their local wildlife. The possibilities are endless and trail cameras should really come with a warning….. they are seriously addictive and you will find yourself not only out at all hours setting up, but also at the crack of dawn retrieving SD cards and searching through footage for that one special clip that sets your heart racing!… you just can’t beat it! MAKE MY IMAGES ‘COME ALIVE’! 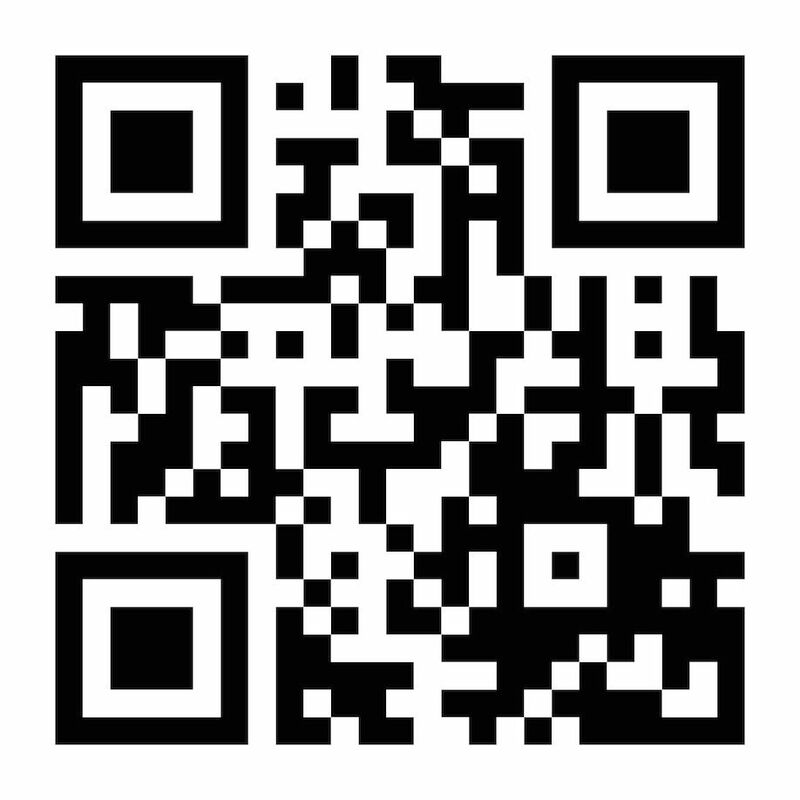 Alternatively, you can scan this QR code in, if you have a QR reader app on your mobile device. This will take you to the Aurasma app and will subscribe you to my Channel. Once it has installed on your mobile device, simply point your device camera at any of the Bushnell wildlife images so they fill the screen. The image should recognise the image and then play the video clip! 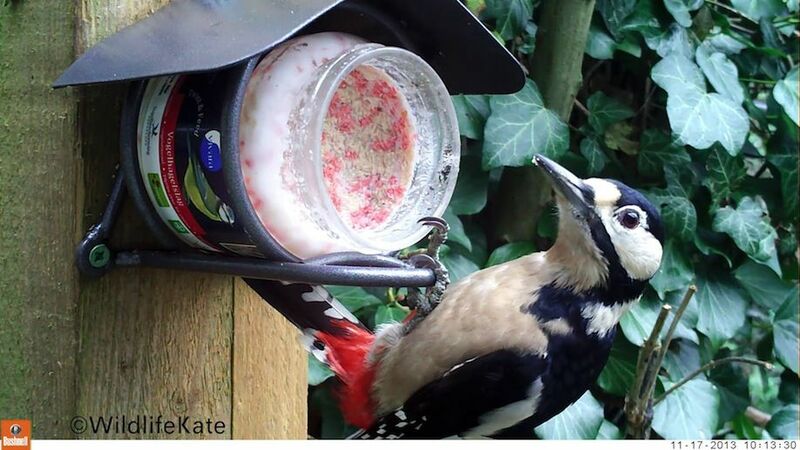 Kate MacRae, also known as ‘WildlifeKate’ has spent the last four years turning her rural garden in Staffordshire into a camera haven, allowing her to monitor the goings on of all the wildlife visiting. She has over 20 cameras set up, all wired back to her office, where she can watch and record the visitors. 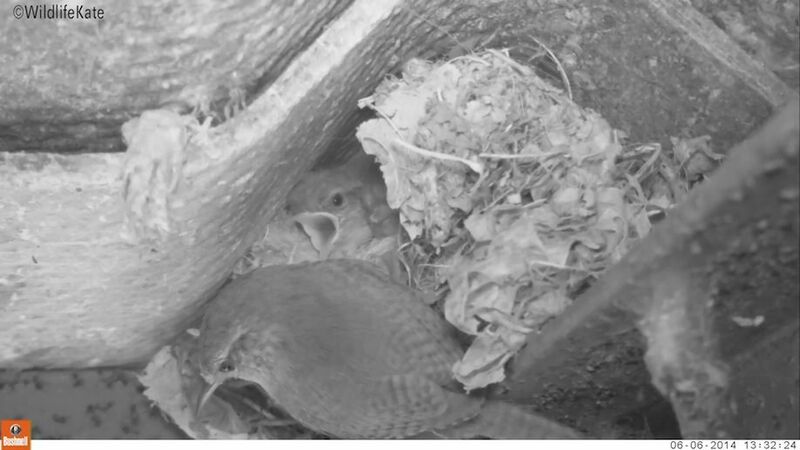 From inside nest boxes, to small and large mammal feeding stations, Kate’s cameras and set-up have appeared regularly on BBC Springwatch and Autumnwatch. Kate is also a keen photographer and avid user of Bushnell trail cameras and these form big part of her wildlife filming. Kate’s cameras stream live on her website and can be watched 24-7.